Jeffrey Masich, Associate Broker and REALTOR® with "HomeSmart®, the #1 Real Estate Broker in Residential Sales in Phoenix AZ metro"...Phoenix Business Journal. Jeffrey Masich says, "Current mortgage interest rates make purchasing a home more affordable right now. Try putting the current rates into the mortgage calculator to figure an approximate monthly payment." Jeffrey Masich, Realtor discusses qualifying for a mortgage to purchase a home and free grants that may be available. Home buyers can use this mortgage calculator to determine their monthly payments at various interest rates. Use this Mortgage Calculator to figure the cost of your mortgage loan at various interest rates and terms. "Seller May Carry" Homes fo Sale in Arizona: See seller carry financing homes for sale in Arizona. Edit this actual MLS search by city, home features or map. Can't qualify for a loan? The sellers may carry the mortgage on these homes with a down payment. Feel free to use your own lender or ask Jeff Masich for a lender to meet your needs. A " Pre-Qualification Form ", if using a mortgage loan for a home purchase, is needed in Arizona to present a purchase contract to a seller. Most lenders will do FHA, VA, USDA, and Conventional Loans. Many will work with the Home in Five free grant while it is still avaliable. With interest rates rising this year, check the current mortgage rates here by clicking the arrow. 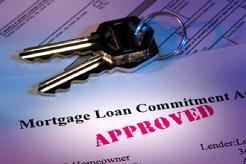 Get pre-approved so you will be prepared to submit a purchase contract. "It is an honor to receive the referral of your friends and family"